The sign position of Venus reveals the “role” we take on when we want to attract love, among other things. But, it goes well beyond mere flirtation — we “act like” this sign when we are involved in personal, one-to-one love relationships…whether we are on our first date or celebrating our 40th Anniversary. It is important to note that when we play a Venusian role, we do not truly “act” or put on a show, per se. 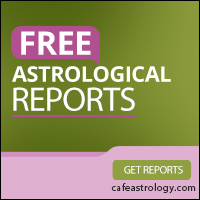 The character traits of our Venus sign are genuine traits that come from within us. However, they are activated most powerfully, or highlighted, when we are in love. Reading up on the descriptions of your lover’s Sun Sign is always helpful, but it can be misleading as well. Sometimes our Venus sign is the same as our Sun sign, and the way we express ourselves in matters of the heart is predictable enough. When our Venus and Sun are in different signs, we can surprise others (and ourselves!) with behavior that doesn’t always seem to gel with the rest of our character. For example, a normally timid and humble Virgo girl may behave like quite the “queen” with her lover if her Venus is in Leo; or a free-spirited Sun in Sagittarius person who has Venus in Capricorn may be more conservative in love and relationships than we might first expect. Venus in Aries through Virgo includes Venus in Aries, Venus in Taurus, Venus in Gemini, Venus in Cancer, Venus in Leo, and Venus in Virgo. Venus in Libra through Pisces includes Venus in Libra, Venus in Scorpio, Venus in Sagittarius, Venus in Capricorn, Venus in Aquarius, and Venus in Pisces. It’s important to note that Venus is not only about love and relationship needs and wants. 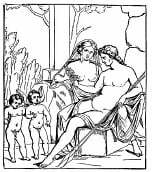 Read more about Venus and about Venus in the signs. See also Venus in the Elements and Venus in houses.